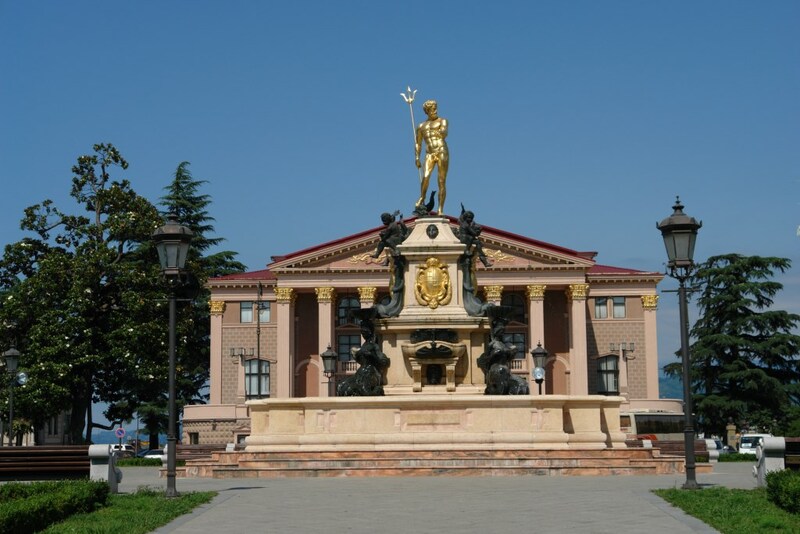 The statue of Neptune in front of Batumi Drama Theater in the city of Batumi was erected in 2010. The statue and its fountain is a copy of the Fountain of Neptune in the Piazza del Nettuno in the town of Bologna in Italy. The original sculpture was completed by the Flemish sculptor Giambologna in 1567. 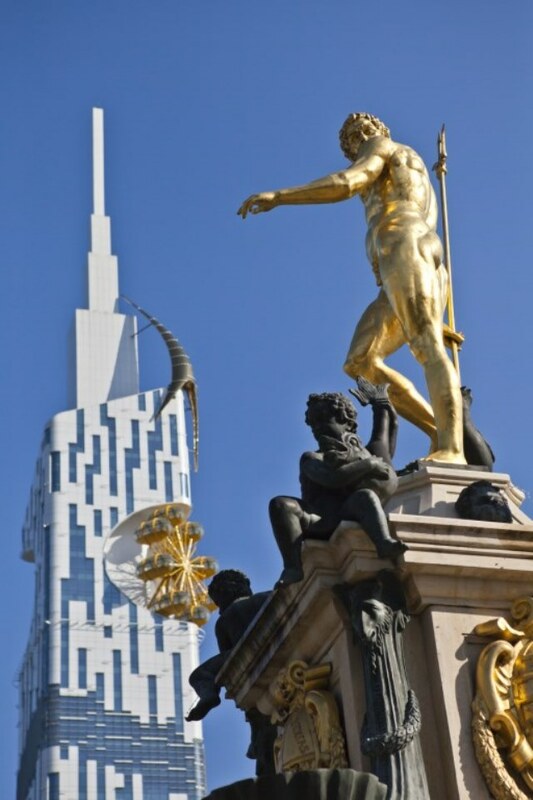 The statue was gold-plated in 2011. 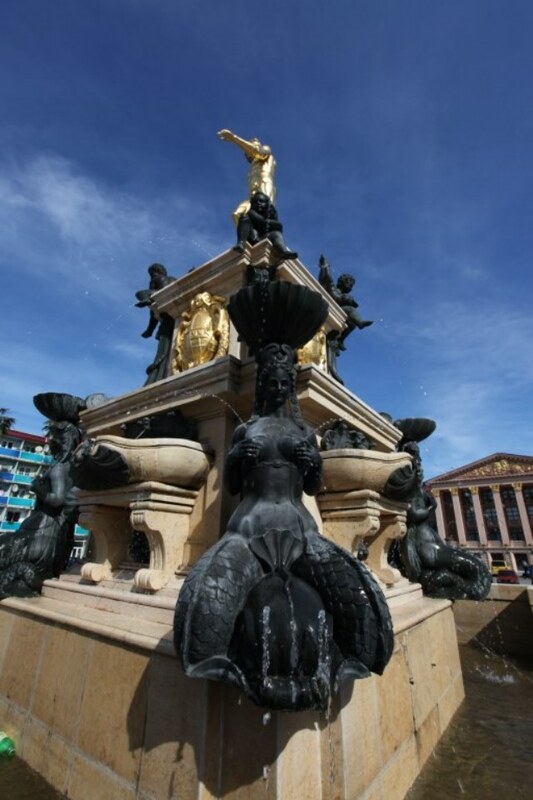 Four mermaids are positioned on the corners of the statue’s plinth. The statue of Neptune is surrounded by a fountain and 4 mermaid figures. 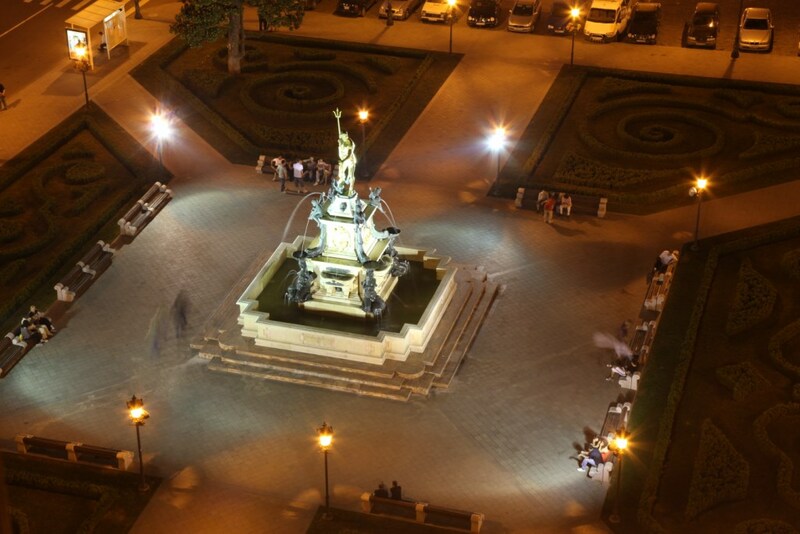 The statue is located at Rustaveli str. 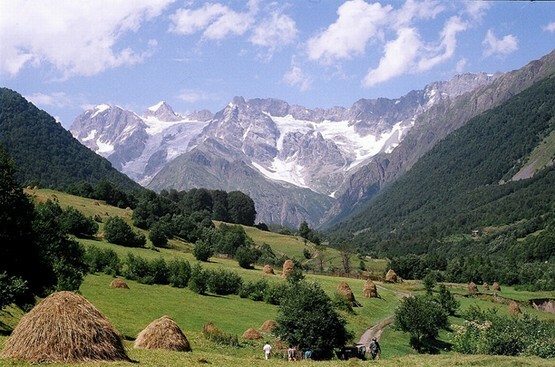 1, in the center of Batumi.